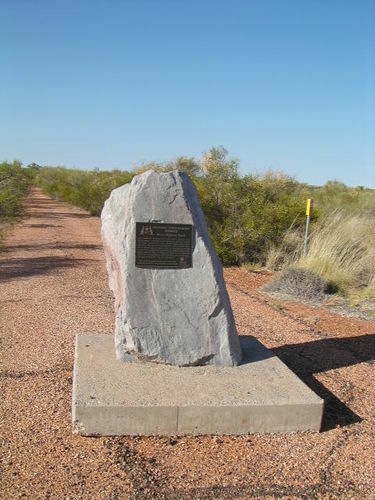 A plaque commemorates the construction of the Stuart Highway. The 1500 km highway connecting Alice Springs and Darwin began in the dirt track servicing the 1870s Overland Telegraph construction. Part of that dry-weather track served to link the railheads until the Second World War. Civil and military road agencies then combined to construct an all-weather sealed highway vital for the defence of Australia. Major upgrades between 1970 and 1992 created a National Highway, a monument to the achievements of engineers, surveyors and workers in a remote region.